Concerts and live music acts are a huge part of the European culture as they take place in essential cultural and social sites where people can meet and exchange. On Saturday, the 2nd of February 2019, live music venues & clubs all over Europe open their doors on the same day during daytime and invite the audience to discover what is happening behind the scenes. The Open Club Day allows strengthening the connection of the venues & clubs with their local communities. 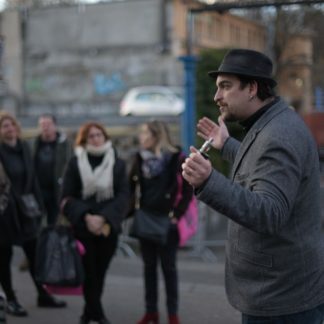 At the same time, it connects local stages all over Europe in a strong solidarity movement that reaffirms their importance as cultural, economic, and social actors. The Open Club Day aims to raise awareness about the reality of the daily work in a live music venue among its neighbors, local cultural players, authorities, and policy makers. 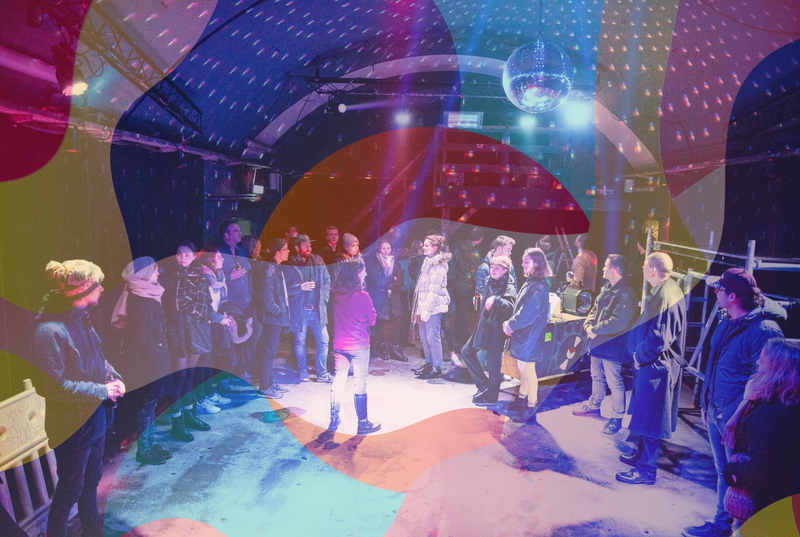 By highlighting daily activities of music venues, the Open Club Day offers the right circumstances for a constructive exchange than can help to clear up negative stereotypes that are so often cultivated about live music venues and nightlife. In this context, the grassroots venues are the most fragile, yet vital for talent development, music diversity and expression. The Open Club Day reveals how they manage to adapt with innovating DIY forms and social economy models. 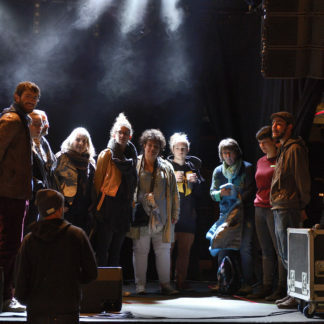 By joining forces, cooperation projects like the Open Club Day can create positive repercussions on a national and local level for the live music sector and have a real impact on the recognition of music venues being significant contributors to culture. 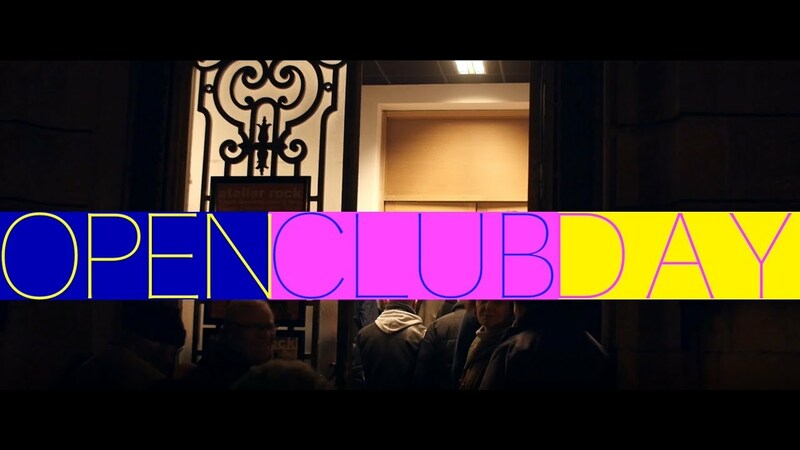 On the Open Club Day, venues & clubs all over Europe open their doors during daytime and let people discover what it takes to run their place: who are the people working there, what do they do on a daily basis, what is happeninA behind the scenes. You can expect guided tours, activities for families & kids, workshops, club safaris, and panel discussions. The detailed programme and the participating venues & clubs will be published in December 2018. Guided tours through the venues & clubs leading through the spaces that are usually inaccessible for the broad audience: stage, backstage area, offices, dressing rooms, etc. 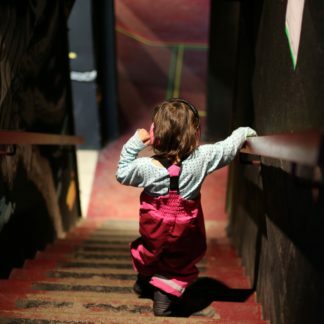 Some venues & clubs organize activities for families and kids, such as an introduction to sound and light balancing where you can test all the fancy buttons on a sound mixer with the supervision of a trained staff or volunteer. You will be impressed by the talented teams running live music venues & clubs all over Europe. 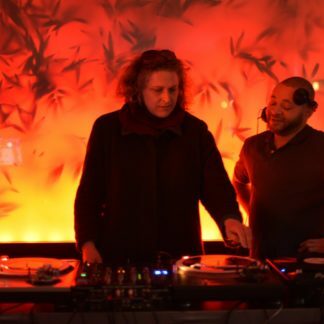 Some venues & clubs will propose small workshops on the Open Club Day, such as DIY silkscreen printing, introduction to DJ-ing, or a crash-course in preparing cocktails. If you are living in a city, chances are that several venues & clubs are participating at the Open Club Day. They might join forces and propose a club safari, a guided city tour that leads to and through the city’s venues & clubs. In some cities, venues & clubs might organize panels and talks in order to raise awareness about topics that are important for them and that they are discussing on a local, regional, and international level. REGISTRATIONS ARE CLOSED FOR THE 2019 EDITION. If you are interested in joining the Open Club Day in 2020 (Save the date: Third European of the Open Club Day will happen on Saturday, 1st of February 2020), we invite you to sign up for the information newsletter that will keep you up to date. 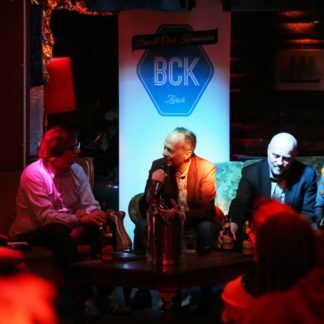 The event-concept was created by SBCK (Swiss non-governmental commissions for bars and clubs) and Petzi (Swiss non-governmental federation of live music venues and festivals) in Switzerland and has been conducted on a national level since 2015 with great success. The Open Club Day is part of the building capacity program #LiveStyleEurope coordinated by Live DMA (European non-governmental network for music venues and festivals) and supported by the European Commission via the Creative Europe program. Live Style Europe aims to empower music venues and festivals, as well as regional and nationals live music umbrella associations by providing them with skills and tools for an easier adaption to the evolutions of the live music sector. The program strives to structure the live music sector and to enhance the visibility of music venues. In order to achieve these goals, Live DMA focuses on collaborative actions such as peer-to-peer learning, exchanges at the European level among the members and with partners, and a mutualized communication strategy. Visit the Live DMA website to find out more about #LiveStyleEurope. The Open Club Day was held for the first time in 2013 in Zürich, Switzerland on the initiative of SBCK (Schweizer Bar und Clubkommission). In 2016, the event spread all over Switzerland with PETZI (Swiss association for venues and festivals). In 2019, the Open Club Day will celebrate its second European edition with the support of Live DMA (European non-governmental network for music venues and festivals) and its members.